110 Cubic Inch Stroker T.C. What cam is right for you? Where can I buy Rocket Cams? Chris Rivas Signature Series Rocket camshafts, are specifically designed for late model Harley-Davidson® big twins, with a goal of keeping high cylinder pressure for optimum power throughout the entire RPM range. 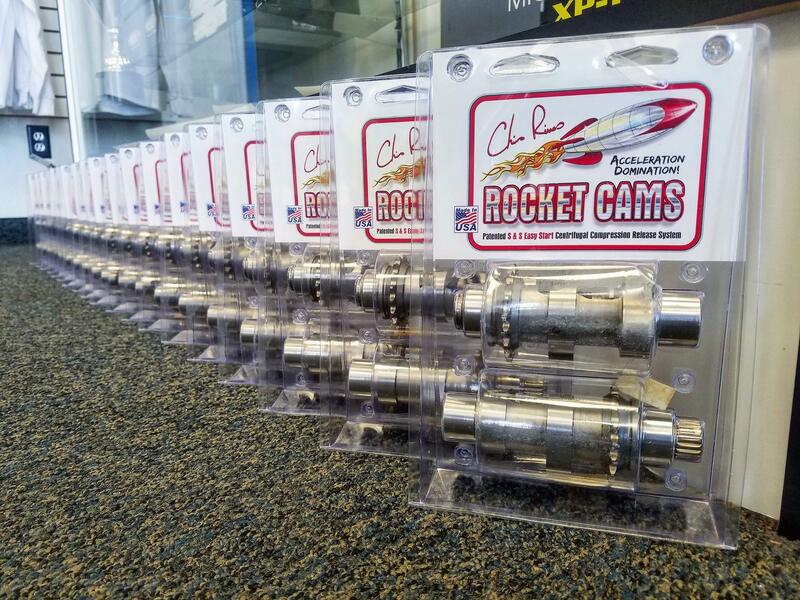 The Twin Cam® Rocket Cams also feature the Easy Start centrifugal compression release system licensed by S&S Cycle® for easy starting even with large displacement and higher compression ratios. Developed from years of NHRA® Pro-Stock motorcycle racing and engine building, Bonneville land speed racing and street building experience ensures you're getting the highest quality American made camshafts for your twin cam engine.